It is a legal requirement to keep your drinking water in good condition, but it is especially important in the shipping and offshore industry when you may have potable water stored for long periods of time. Hatenboer Water has been enabling people to do this since 1906, and their drinking water products are some of the most widely used marine supplies within maritime and offshore sectors. One of their most famous products is Hadex drinking water disinfectant. 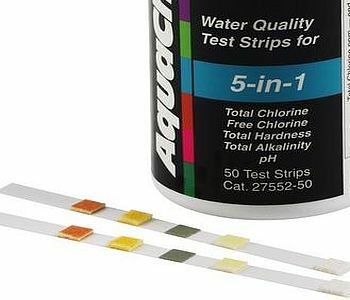 This innovative substance is just what you need to ensure that your potable water remains safe for consumption on board. At Offshore Supply, we are proud to offer the finest products from trusted brands like Hatenboer. 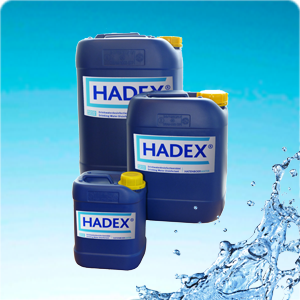 We provide a range of Hadex drinking water disinfectant that is all certified as being food safe, and it will continuously protect your water during storage. Preventing water wastage and allowing you to save time through very easy use, Hadex drinking water disinfectant will also work within any tanks or pipes that your water-fed equipment may rely upon, so it really is an essential product to have onboard in the fight against legionella bacteria in water systems. We sell Hatenboer Water Hadex in a number of different sizes, Hadex 2.5 litres, Hadex 10 litres and Hadex 25 litres, to cater for vessels ranging from leisure yachts or super yachts to large commercial vessels and offshore platforms. Once you have dosed your water system with Hadex it is important to continue to monitor the levels of the Hatenboer chemical within the potable water system. 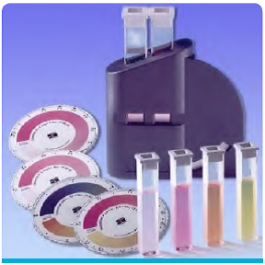 We therefore offer the Hadex Checkit Manual Test Kit that will allow you to analyse your water system to maintain compliance with the latest Potable Water Regulations. From Hatenboer water for leisure yachts to large commercial vessels, everything we have in stock comes with an option to reclaim your money within 30 days should you be dissatisfied. As dedicated ship chandlers, Offshore Supply can deliver any Hatenboer Water supplies to the UK or European port of your preference, and we go to great lengths to ensure that your transaction will be carried out in the swiftest possible time. If you’d like additional information, please feel free to contact our professional team by calling us on 01524 862 010 or emailing sales@altham.biz.